“The BJP has become more corrupt than the Congress”, he alleged and even issued an appeal to voters in poll-bound Gujarat to vote for anybody who can defeat BJP. NEW DELHI: The Aam Aadmi Party celebrated five years of its inception at Ramlila Grounds on Sunday with senior functionaries and the national convener of the party, Arvind Kejriwal, addressing supporters. Speaking before a medium-sized crowd, Kejriwal, the Chief Minister of Delhi, presented AAP as the only option for clean politics and remembered anti-corruption crusader Anna Hazare, while hitting out at PM Narendra Modi over GST and unemployment among youth in the country. To celebrate “Five years of revolution”, Manish Sisodia, Delhi’s Deputy CM, Gopal Rai, the party’s Delhi convener, and senior leader Sanjay Singh were on the dais, which was set up to resemble the one during the India Against Corruption movement in 2012. The party’s national executive members Pankaj Gupta and Atishi Marlena, and Bhagwant Singh Mann, party leader in Punjab, were also present. 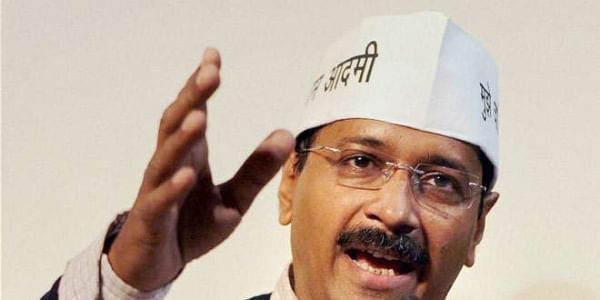 Kejriwal lashed out at the Modi government in his 20-minute speech. “The BJP has become more corrupt than the Congress”, he alleged. He issued an appeal to voters in poll-bound Gujarat. “The entire country is looking at Gujarat elections, everyone wants the BJP to lose the elections. My appeal to the people of Gujarat is to only vote for the candidate who can defeat the BJP, whether it is AAP or any other party, but not BJP”. Party leader Kumar Vishwas took shots at those who had joined the party after the AAP formed its government.